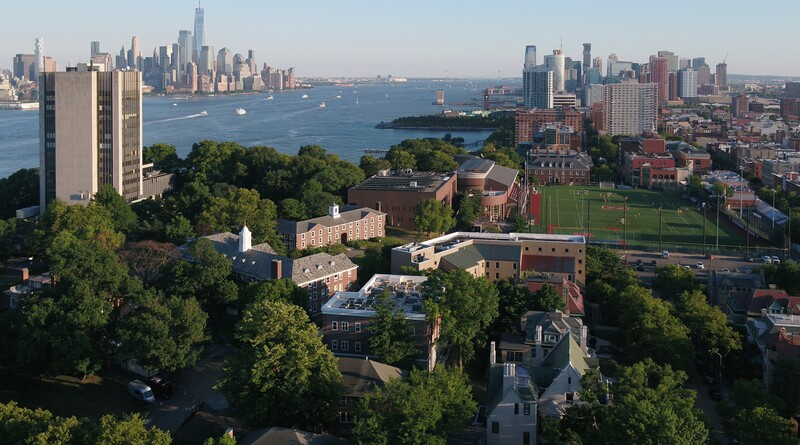 ​The School of Business at Stevens Institute of Technology leverages its institutional strengths in analytics, finance, information systems and management to provide a forward-looking business education that prepares managers for the future through an emphasis on technology. Stevens classes emphasize the evolving impact of technology to prepare students for the business world of tomorrow. School of Business alumni go on to exciting careers at Verizon, Goldman Sachs, Apple, EY, Barclays, BD and other Fortune 500 companies, in nearby Manhattan and beyond. Alumni from undergraduate and graduate programs are highly sought after for their ability to think critically about technology's role in solving complex problems in the workplace. Graduates go on to become managers who are able to make smarter decisions faster thanks to an understanding of how to mine, visualize and analyze data with great sophistication and efficiency. The School of Business is accredited by AACSB International, considered the gold standard among business schools. AACSB International is the world's largest business education alliance; less than 5 percent of business schools worldwide are accredited by this prestigious organization. From 1997 until mid-2015, the School of Business was known as the Howe School of Technology Management, in recognition of the generosity of Wesley J. (Jack) Howe B.E. '43, M.S. '53, Hon. D. Eng. '81, Hon. MTM '97, a former chairman of the Board of Trustees. We impact industry, academia and society through business education and research in a technology-driven economy. To be a leading business school widely recognized for superior technology-focused and student-centric educational programs and research. Since its inception, Stevens has been recognized as a powerful force for scientific discovery and innovation. The School of Business leverages this legacy through a course of study that trains students to approach the world looking to solve problems and drive change on an enterprise-wide level through the use of technology and analytics. Stevens' location makes the School of Business an ideal partner for New York-based employers to recruit students and find research partners. Stevens-led discoveries in analytics, information systems, finance and big data are changing how companies set and achieve goals. Stevens students learn by doing, as they apply classroom lessons to business problems through group projects, consulting work and high-profile internships. Stevens has decades of experience in delivering graduate degree and certificate programs at maximum convenience and value to employers and corporate students. The school's strategic growth plan guides its expansion into more disciplines and helped it earn AACSB accreditation, the gold standard among business schools.